Blog / Weekly report 07/13. Investment Pool functionality is 77.5% ready. 2. EOS integration is in progress. 3. New types of the contracts for development are identified. Roadmap will be updated soon. MyWish Ambassadors are in business! They have already started to do their activities in 3 countries (France, USA and Germany). We offered them 3 types of activities; participation in various events, writing and publishing articles about MyWish in mass media and B2B development. Every Ambassador has chosen something which he finds interesting and has become a part of MyWish in his country. MyWish is grateful to everyone involved in the promotion of MyWish. At the conferences in London and Amsterdam we became acquainted with large companies and advisers in Insurance, Retail and Supply Chain industries, who are interested in blockchain technology implementation. 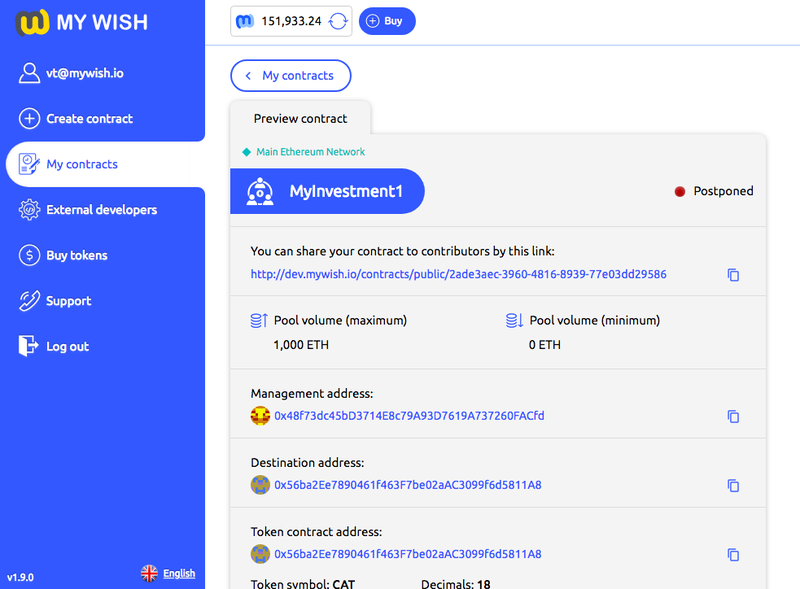 We closely communicate and discuss how MyWish can help to solve their tasks and simplify their processes by implementing smart contracts. Blockchain and decentralized systems give an opportunity to drive efficiency and establish an advantage and we are happy to help. Yesterday, MyWish Platform greeted its’ 3000th registered user! This is a remarkable figure for the crypto world that is still evolving. This week our facebook page reached 10.000 followers. MyWish takes part in voting for listing at KuСoin Exchange. We ask you to support us: https://medium.com/kucoinexchange/vote-for-your-coin-telegram-action-f749362be26a. It’s very important for us. Bestrate.org successfully added WISH token! Now everyone can buy WISH token without exchanges (fiat money are also supported). Besides, we have started to spread the information about Airdrop contract in BitcoinTalk, Reddit, Golos and Steemit etc. Interview with Vladimir recorded in Amsterdam has been published: https://www.block-clip.com/videos/detail/426.